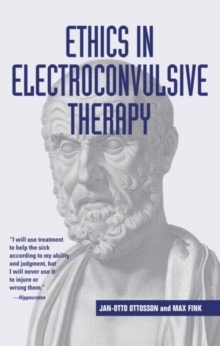 Few mental illness treatments are more reviled in the public mind than Electroconvulsive Shock Therapy. However, in reality, ECT is a safe and effective treatment for cases of clinical depression and catatonia that are unresponsive to drug therapy. Also, unlike drugs, ECT has relatively few side effects. The authors argue that it is time for this historically stigmatized procedure to be reevaluated. The authors make a strong case for greater professional and public attention to the procedure's benefits, offering historical coverage of ECT-related movements, legislation, public and practitioner sentiment and the introduction of competing treatments. This volume will not only garner the interest of mental health professionals, but will call on policy makers and ethicists to examine its arguments.